Posted: Thu Oct 25, 2018 4:25 am Post subject: M42 bare mounts? I don't know how to just call this. 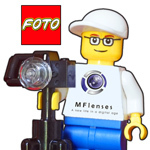 I am looking online for M42 mounts to put on lenses coming with PK mounts. First I think of a Mir-47K that I could buy. It's really hard to find Mir-47 and the one I have spotted comes in PK mount. I could replace it with a M42. 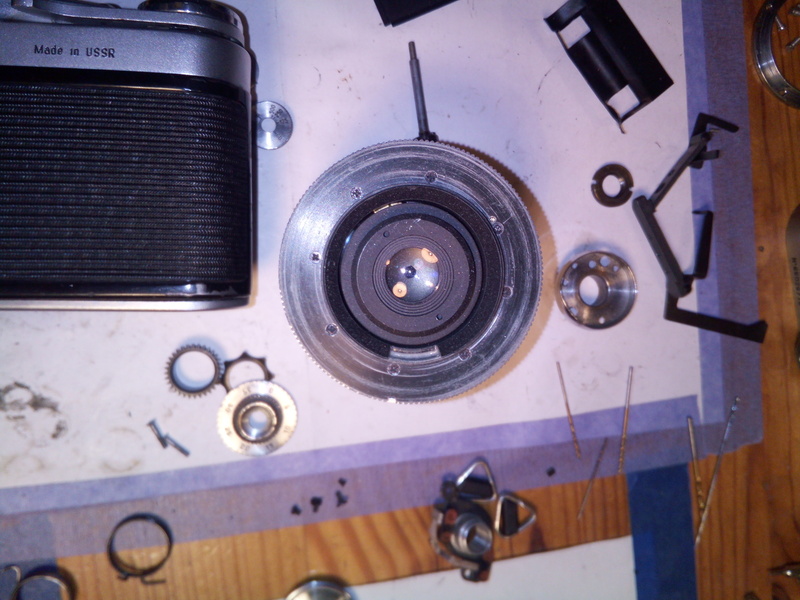 The uninteresting M42 lenses I have around that I could cannibalize don't do it: either the 42 thread is not on a screwed plate but part of the block or there will be a lot of dremeling in order to remove metal (like with the Jena Tessar). 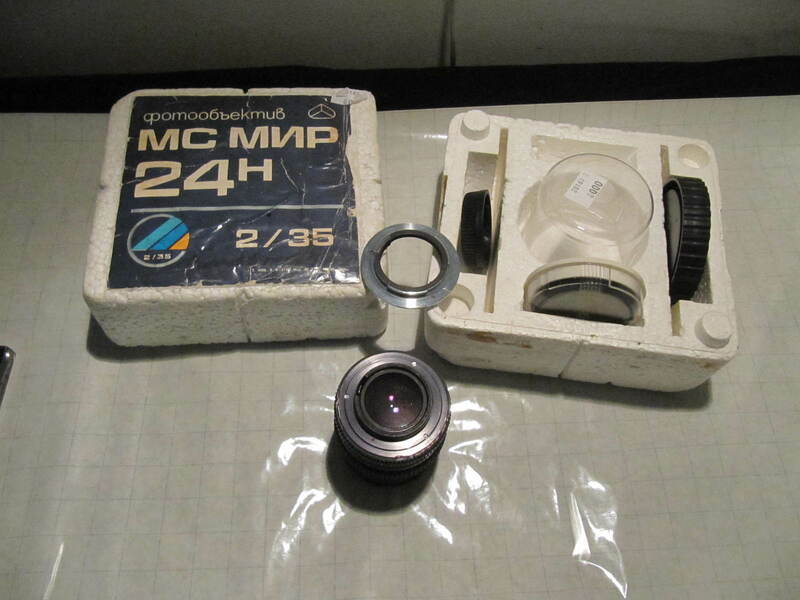 I though I would find easily on Ebay, but whatever keywords I try bring only M42-something adapters. to give an idea of what I am looking for. Here is a Mir-24N that I bought in box. It's a "N" so Nikon mount, but these lenses came with a M42 mount in the box.. Three screws and done. Here the lens with the M42 mount, and on the box the Nikon mount that was on when I found the lens. I just asked the guy in the shop and he switched mounts. what I am looking for is the kind of bare M42 mount that sits on this Mir-24. Some extension tubes have plates like that attached by three or four screws. A reversing ring is perfect. They are very cheap and easy to adapt. The size of the filter thread is irrelevant though keep it 49mm or smaller for a smaller diameter flange. I cut off the filter thread with a junior hacksaw and file it down until flat. Drill the holes where you want. This is how I make special adapters for my Sony E - same principle exactly. 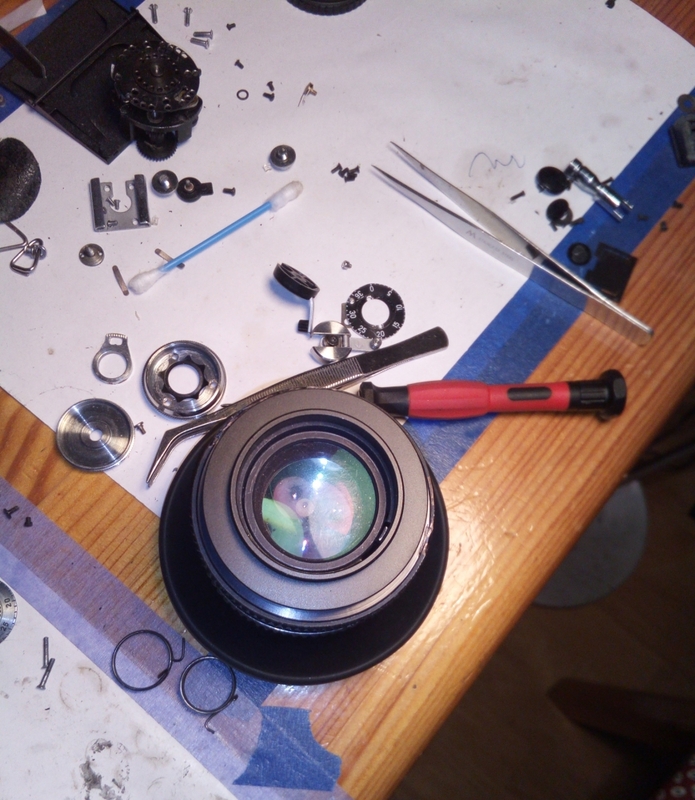 I'm very slowly progressing on a mount swap on one of my lenses. Drilling the holes in exactly the right place might be tricky, and the screw heads then NEED to be recessed so they do not obstruct the mounting flange. Changing from PK - M42 you'll want to get exactly the same flange position to maintain infinity focusing. I'm changing a Sony A to EF so it will fit my focal reducer etc. which gives me a slight gap to fill (unfortunately not enough for a separate adapter). One way to get the correct positions for the holes. Put the cap over the rear of the lens and mark the position of the index with a fine tip pen, then mark where the holes must be. Carefully heat the nail and push it through the marks. Put the cap over the mount, taking care to align the index mark with the top of the mount. Make sure, if you are marking the rear of the lens mount, the cap must be reversed. Push the nail through the hole and gently tap with a small hammer, just enough to make a dent. This will give you a precise location to drill. To countersink I use a wider drill and just touch the hole. 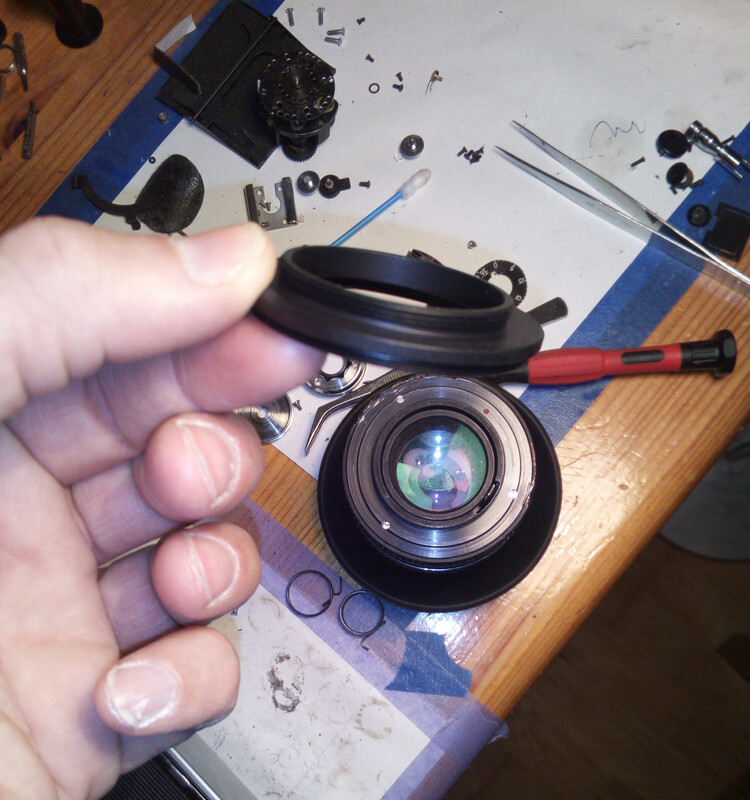 You may have to make a hole in the cap to accommodate the flange or rear of the lens. This needn't be too accurate. I've done this countless times, it's my excuse to pig out on Pringles!